Enjoy $100* onboard credit per stateroom on 7-night Caribbean cruises departing from Port Canaveral, Florida in February or March 2018 aboard the Disney Fantasy! As entertainment goes, Disney knows a thing or two about keeping Guests amused—and it’s no exception on a Disney cruise. Relish topnotch Broadway-style musicals; party at elaborate bashes; enjoy first-run films and delight in enchanting encounters with some of your favorite Disney Characters. 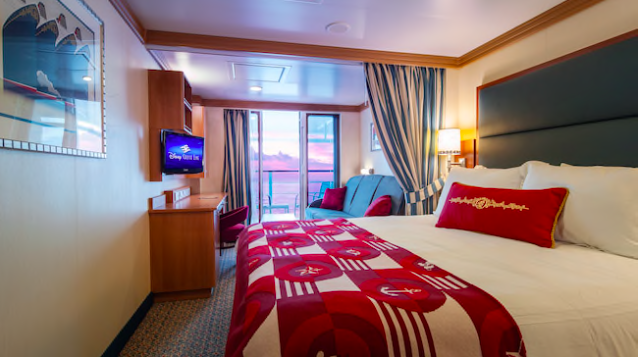 Disney Cruise Line staterooms aboard the Disney Fantasy were designed especially for families and are equipped with innovations that ensure the ultimate in comfort and relaxation for Guests of all ages. You can also follow this link to fill out a form to receive a quote! *Not combinable with other offers or discounts. One onboard credit per stateroom. Onboard credit is nonrefundable and nontransferable. Offer is subject to availability. Visit disneycruise.com/termsandconditions for applicable Terms and Conditions. Must book through a CLIA member agency in order to be eligible for this offer.